Using a blend of travel narrative, interviews, theological insight, and biblical scholarship, Daniel tackles the controversial issues that surround undocumented migration in the United States by taking the reader to the spiritual, legal, and geographical front lines of the immigration debate. Here, the political becomes personal and “talking points” have a human face. The result of this journey is a compelling argument that encourages Christians to meet undocumented migrants as neighbors and as friends. 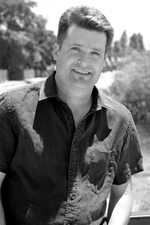 Ben Daniel is Pastor of Foothill Presbyterian Church in San José, California, whose two hundred members come from over twenty different countries. He has served on the board of Presbyterian Border Ministry, a binational organization supported by the Presbyterian Church (U.S.A.) and the National Presbyterian Church of Mexico. Daniel is a regular contributor to UPI’s online religion and spirituality forum, as well as KQED FM, the largest NPR affiliate in the U.S. He is a graduate of Westmont College and Princeton Theological Seminary. Two of his three children, and his foster daughter, are immigrants. He blogs at www.bendaniel.org.